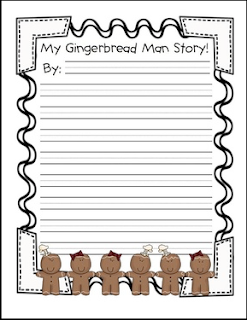 This is a small piece of my overall "Little Gingerbread Man" Literacy and Math Unit. My students have loved the disguise a pumpkin and turkey projects we've done this year. So, I decided to make one up for the little gingerbread man. It is also a wonderful way to involve families in connecting with the books we're reading at school.